This post is part of a sponsored collaboration with SwaddleDesigns. Any advice given in this article is not to be interpreted as professional advice. As always, all opinions about products mentioned are my own. Swaddling your newborn has many benefits, according to the experts. It can reduce the risk of SIDS, help reduce the Moro reflex, help babies sleep better and so much more. 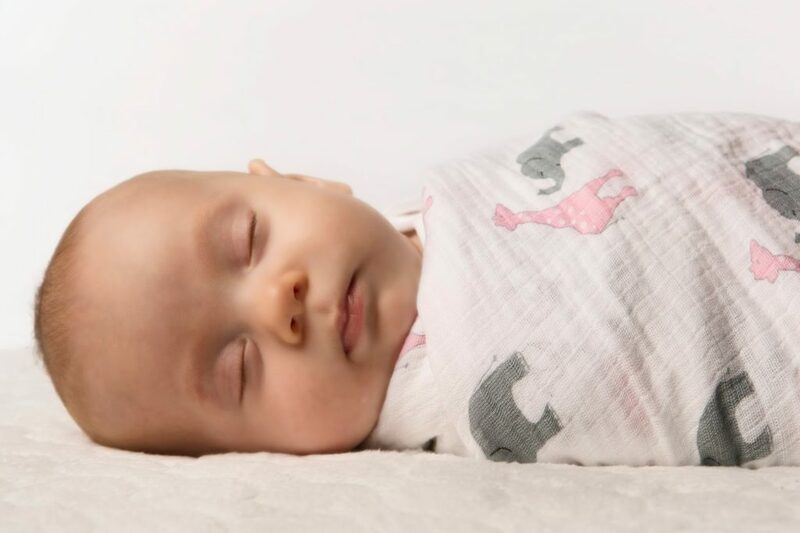 Experts recommend transitioning from a swaddle to a safe-sleeping method around the three or four month mark which is around the time that they start to outgrown their startle reflex. By this time, the risk of SIDS has also decreased. If you’ve reached the point where you’re ready to transition from a swaddling blanket to something a little more free, I recommend trying the Cotton Knit zzZipMe Sack from SwaddleDesigns. Want to learn how to Swaddle your baby? Visit my post here. The experts on the SwaddleDesigns website suggest that you always place your baby on his/her back to sleep. This is much different than when I was a baby. I remember my mom telling me that it was once recommended to put babies to sleep on their belly for naps and bedtime. A few years later doctors told her to place my little brother’s on their sides to sleep. 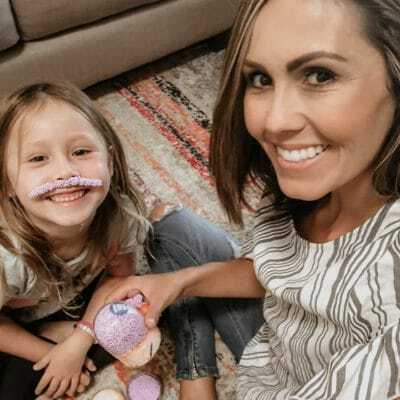 While the rules of parenthood are seemingly always changing, the concern for safety has always remained great. As a parent of two little girls, I can vouch for the concern for safety. Prior to having a baby, your doctor will most likely have you go through classes, watch parenting videos or offer you informational handouts to read over. I clearly remember learning about SIDS in the months leading up to parenthood, and I remember being so worried about it as a new parent. SIDS, if you aren’t familiar with this acronym, stands for sudden infant death syndrome. As a general guide, the American Academy of Pediatrics recommends dressing baby in no more than one layer more than an adult would use to be comfortable in the same environment. Baby’s head should be uncovered. Many of us think that we need to layer our babies with clothes and blankets to stay warm at night, but chances are you are already keeping the temperature of your home comfortable. Baby’s temperature can be assessed with reasonable precision by human touch. Their abdominal temperature is representative of the core temperature and it is reliable in the diagnosis of hypothermia. For many years it was considered okay if baby’s hands and feet were cool. The belief was the coolness was due to baby’s immature circulatory system. However, recently, the World Health Organization states that baby’s hands and feet should be pink and warm. Warm and pink feet of the baby indicate that the baby is in thermal comfort. But when feet are cold and the trunk is warm it indicates that the baby is in cold stress. 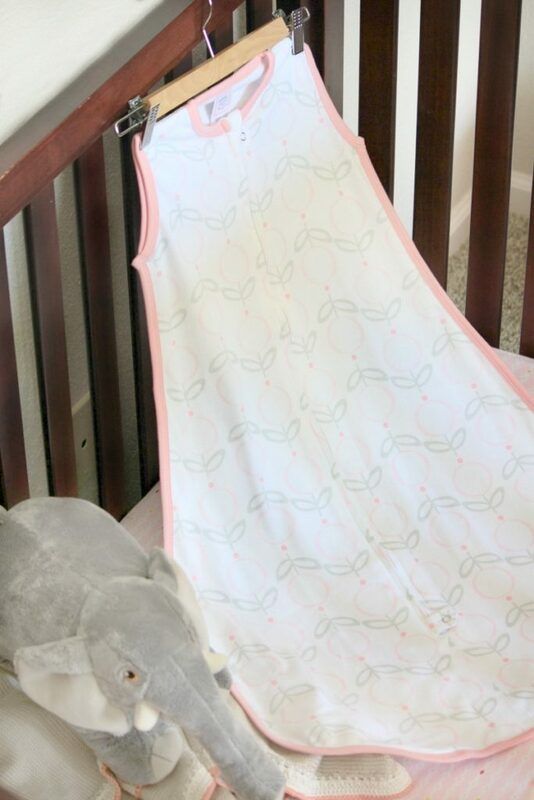 What makes SwaddleDesign’s zzZipMe Sack different than other sleepsacks or wearable blankets is the 2-way zipper (shown above). 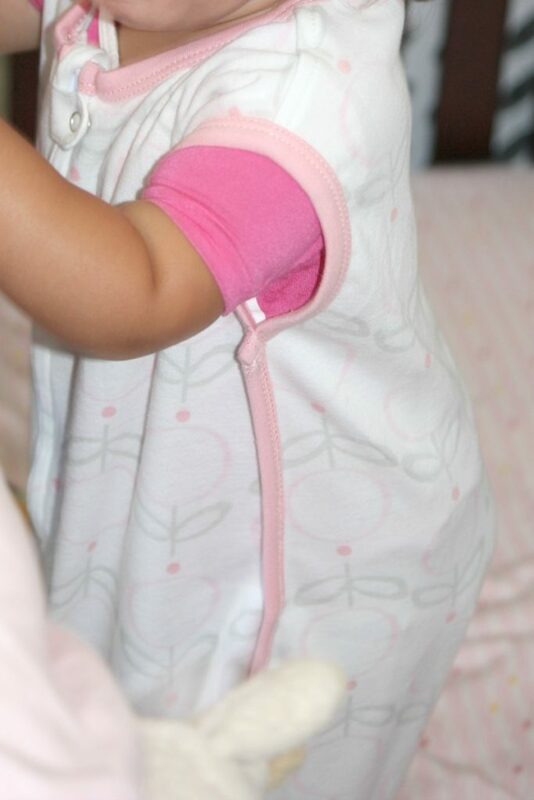 If you’ve ever had experience with wearable blankets, you’ll know that midnight diaper changes are a bit of a struggle when the zipper comes down from the chin-area of the baby. With this wearable blanket, you can unzip from the top or bottom, and both zippers have a protective flap to prevent injury. SwaddleDesigns was founded by Lynette Damir, RN, Designer and Mom of two. SwaddleDesigns is known for their premium quality fabric, fabulous colors and prints, and their innovative 123 Swaddle® pictorial instructional label sewn to the edge of their Swaddling blankets that makes learning how to swaddle so easy. If you are interested in learning more about swaddling, transitioning from a swaddle to a wearable blanket, TOG ratings or browsing the entire line of products from SwaddleDesigns, you can visit www.swaddledesigns.com. We’ve teamed up with SwaddleDesigns to offer one lucky reader their very own Cotton Knit zzZipMe Sack in the print/size of their choice. Enter to win using the Rafflecopter form below. We will choose one winner after 8/15/16. Good luck! I like the Cotton Knit zzZipMe Sack Tiny Fox + Star Sterling. So precious! I like the Cotton Knit zzZipMe Sack Tiny Animals in blue. I love the Tiny Bunnie Lolli Fleur Pink. I like the Tiny Doggie Star Ball Blue print. Most of my son's clothes have a dog theme. I think the Cotton Knit zzZipMe Sack with Tiny Animals is darling!